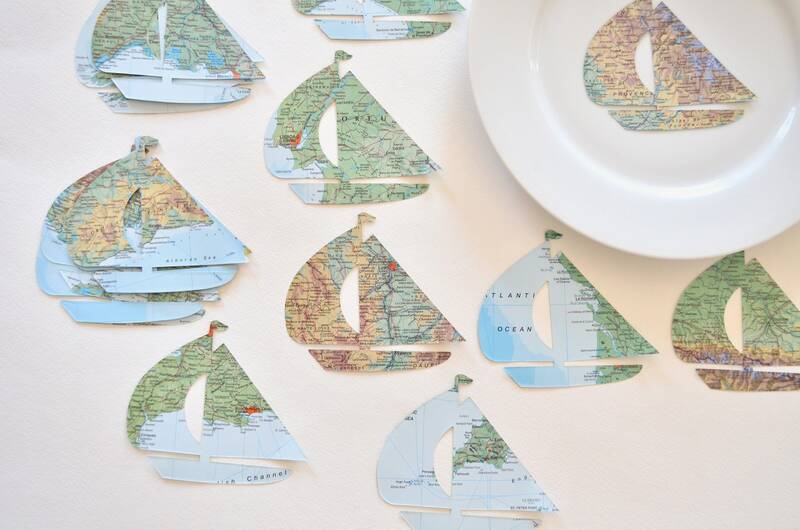 These fun and unique sailboat shapes cut from vintage map paper will be a delightful addition to your party table - or attach them to your place cards, door signs, in scrapbooking, altered art, or other crafts! 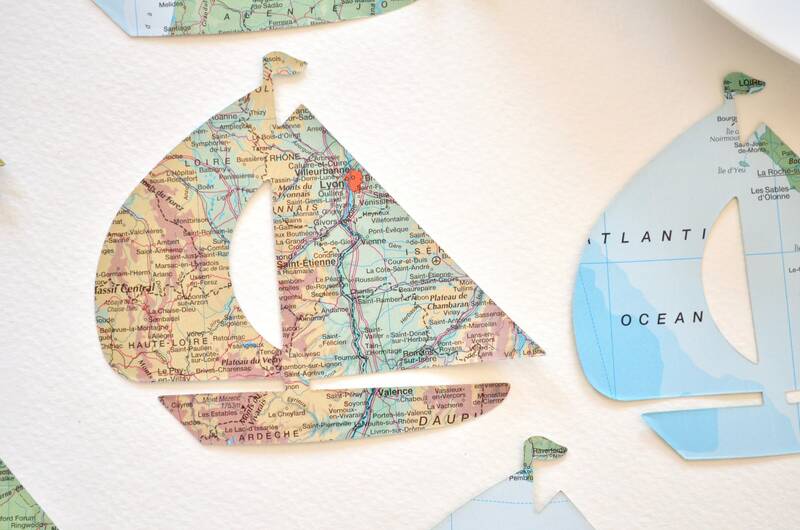 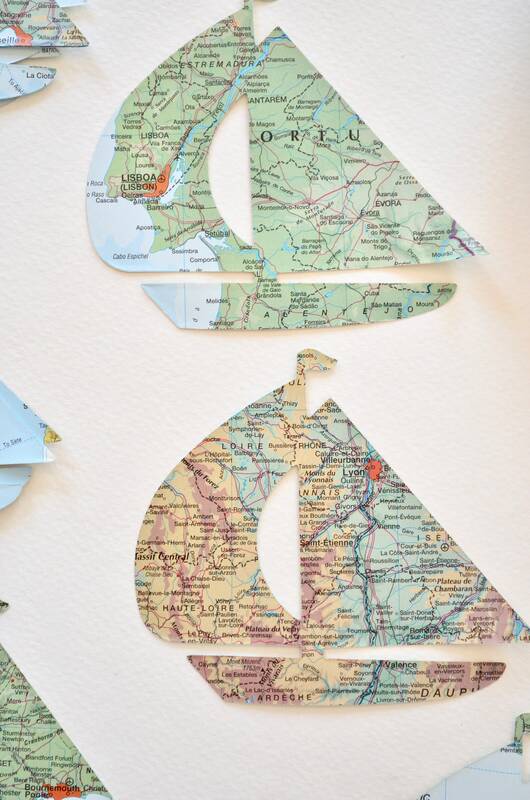 These sets of boats are cut from the same maps as our other vintage atlas decorations and will round out your party decor beautifully. 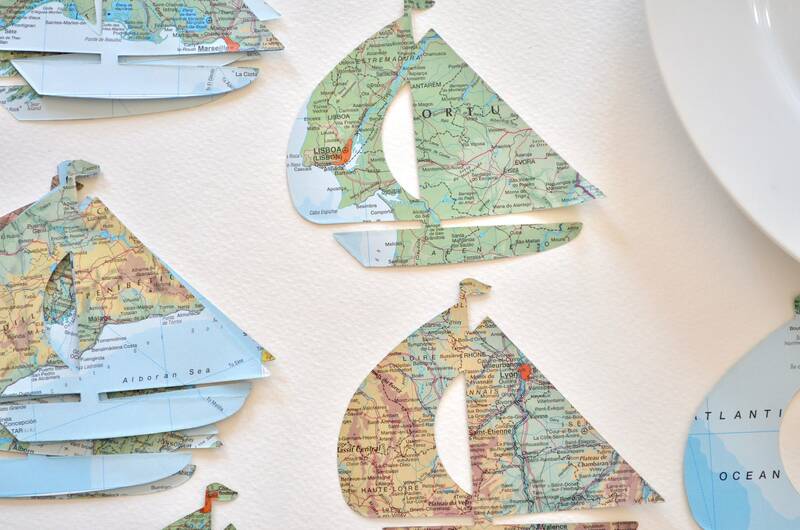 ~ Each sailboat is 4 3/4" (12.25 cm) x 4 1/4" (10.5cm). 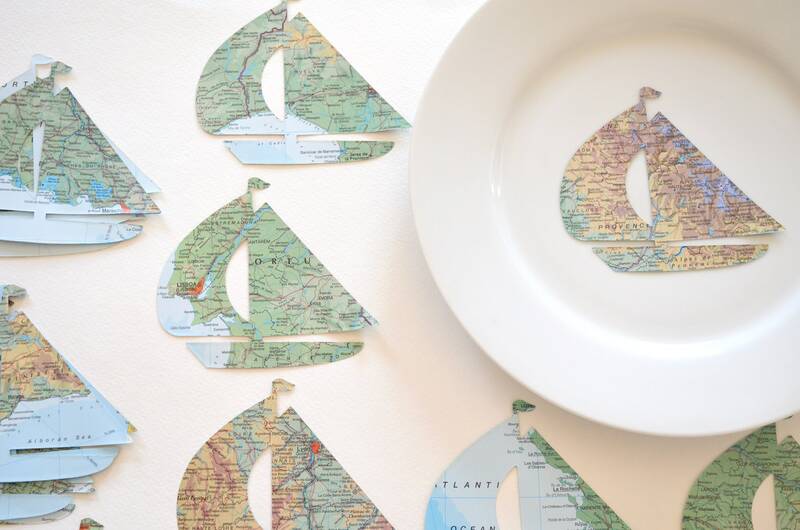 Please feel free to contact us with requests for larger/smaller quantities or other colors!